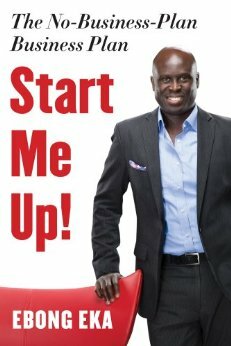 Bestselling Book Reveals: The 4 Major Areas you need to Start & Grow your Business and Raise your Prices! There’s a simple difference between successful business owners and unsuccessful business owners. This book explains how they did it, and how you can DO IT TOO! Get YOUR Personalized SIGNED COPY Now! How to quickly turn your ideas and expertise into a successful business that dominates your niche…using a one page plan. How to determine the best pricing strategy, set pricing for your services and how to charge customers higher prices without losing them. The simple and quick system to test your ideas, determine whether they are viable and identify the best markets to target. Why most businesses who use social media fail and learn the secrets engage new customers, from your sales…..and create brand ambassadors. Successful small business owners utilize the power of virtual assistants and interns to grow their business. Learn how to replicate their strategies. Becoming an expert in your industry is important in growing your business, getting attention for your business and charging higher prices for your products and services. This book explains the basis and (several overlooked) basics for building a successful business. Add it to your start up tool kit! Wish I had this book when I first started my business 3 1/2 years ago. This isn’t just for newbie entrepreneurs, but great for entrepreneurs who want to take their business to the next level. 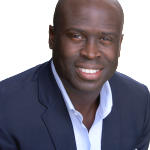 Ebong Eka is a Certified Public Accountant, speaker and entrepreneur who has built a successful small-business consulting and technology toolkit over the last 13 years. Ebong is also a tax and small business expert who regularly appears on MSNBC, Fox News, Fox Business Channel, NBC, HuffPost Live, and CNN, and is a regular blog contributor for the Huffington Post Business Section and Office Depot. He is the founder of Ericorp Consulting, Inc.